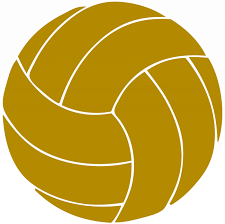 Coach Sarah Hendricks’ Penn Volleyball team dominated South Bend Riley, 24-4, 24-7, 25-13, on Thursday, Aug. 25. The Kingsmen are now 4-0. Courtney North and Jenn Heritz powered Penn with 8 kills each. Sophia Cruz had 4 digs and 5 aces. Penn plays at the Plymouth Invitational on Saturday, Aug. 27. The Kingsmen play Valparaiso, New Prairie, and Alexandria. Penn’s junior varsity beat South Bend Riley, 25-9, 25-6. Rachel Ruppert stung the Wildcats with 5 aces. Jenn Weston had 3 kills for the Kingsmen. Ryleigh Langwell contributed 3 digs. The next game for the JV is Tuesday, Aug. 30, vs. Bremen.